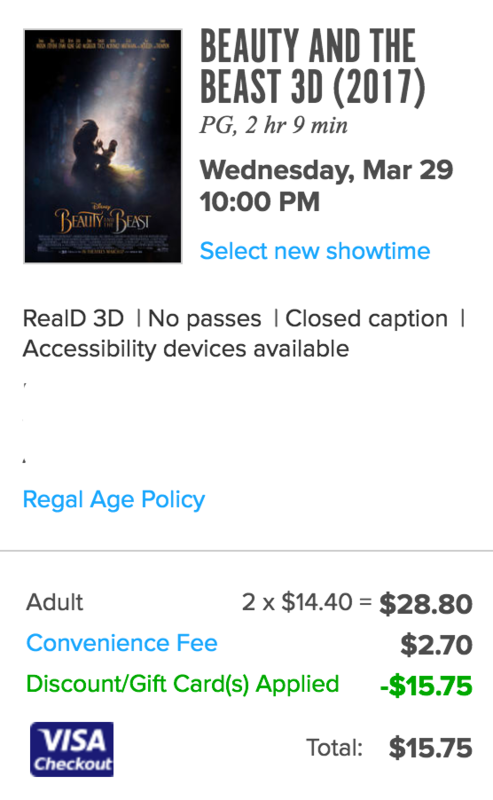 Fandango is offering Buy 1 Get One Free Movie Tickets when you apply the code DEALSTHATCLICK4 and use Visa Checkout (free to sign up) to pay online. That’s one of the best freebies we’ve seen from Fandango this year. The last time we saw a promo like this was back in December. Note that Fandango convenience fees and some exclusions apply.